COVERAGE:Running & square foot coverage can be found on the information tabs listed below. King Size Box 300-600 caladium bulbs Approx. 40+ pounds Covers 48 square feet or 200 running feet. Bulbs by the pound is exactly what it sounds like. We simply pick up a box and fill it until it reaches the specified weight. Bulb counts are approximate since they will vary based on the bulb sizes. The packages of "Bulbs by the Pound" typically contain more varieties than counted mixed boxes since we have the option to include multiple bulb sizes. Still not sure a mixed size package is the option you want? Visit our Bulb Sizes page for help on this topic. 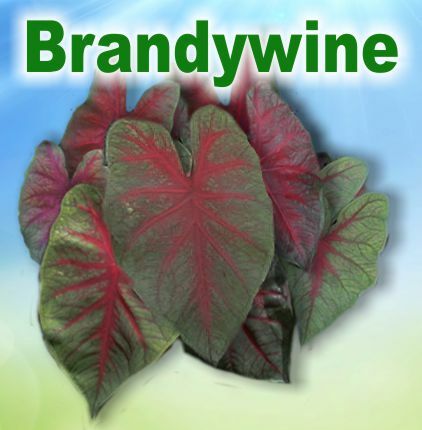 Need a basic introduction to caladium bulbs? Visit our Caladiums 101 page. Other mixed packages can be accessed from the link below.